Broken Triangle Cattle Company is owned and operated by Milton Charanza, who has been involved in the industry for nearly 40 years. Since graduating from Texas A&M University in 1984, Milton has made his living and raised his family in the agricultural field. 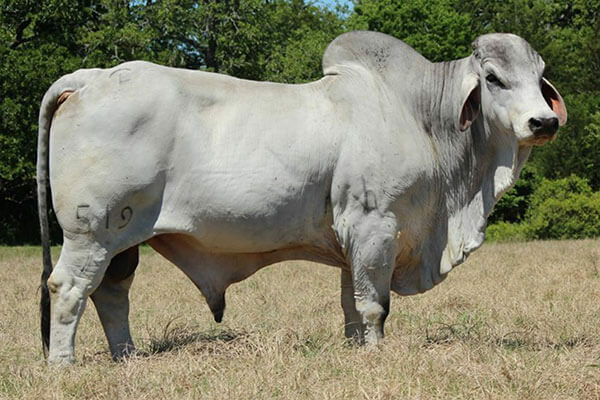 Milton’s first Brahman was purchased in 1976, and since then he has put his passion and knowledge into the cattle business. From early on, his parents and grandparents taught him that honesty and integrity were the most important traits, and Milton has built his reputation on this premise. After working as a ranch manager for one of the most renowned red Brahman ranches in the country until the owner sold the ranch and herd in 2000, the Charanza family established their own herd in Milton’s hometown of Caldwell, Texas. 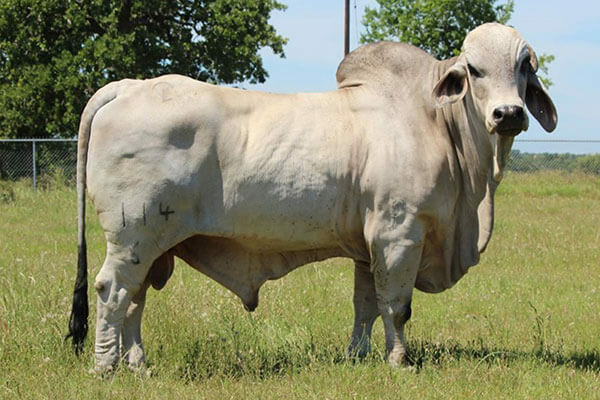 Broken Triangle Cattle Company runs a herd of registered American Brahman cattle strategically built with a combination of genetics that has produced functional and high-performing cattle that are bred for moderation in size, production, efficiency, structural correctness, and disposition. These base females are easily recognized by any cowman as the type that can perform in any environment. In 2015, Broken Triangle Cattle acquired a registered red and gray herd from the renowned McKenney Farms that proved to be a perfect match for the existing Broken Triangle Cattle herd in terms of breeding philosophy and functionality. Today, the Broken Triangle herd continues to focus on the important economic traits of fertility, soundness, and docility. We also run a herd of 100 recipient females using Embryo Transfer to produce more offspring from our top-end genetics. 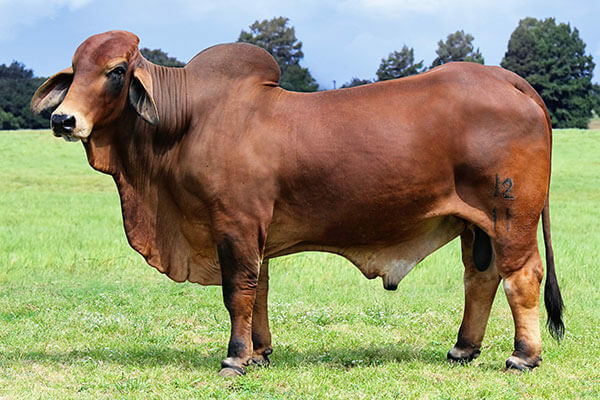 These cattle have been sold as show heifers, competing well at many shows, and sold to registered Brahman herds. At Broken Triangle Cattle Company, our focus is—and always will be—on females and their importance in a progressive breeding program. With this strong female base of our herd, we produce exceptional cattle, second to none. Our females must be superior in producing calves acceptable to the industry. The Broken Triangle donor herd is made up of MK 111, our top gray donor female, MK 119, MK 1/320, MK 405, and Miss Broken Triangle 308. 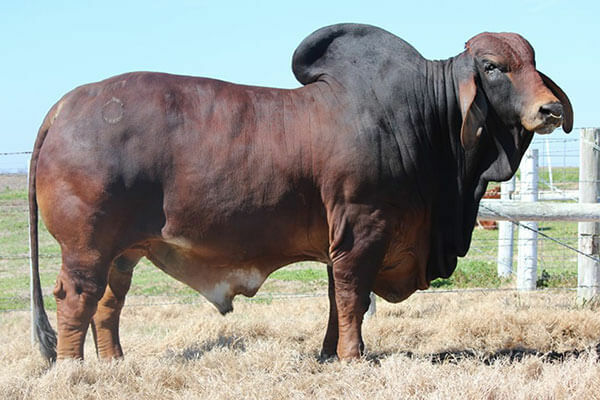 Herd bull power is still important in a successful breeding program. Our bulls are beef machines, masculine, and sound in their feet and legs. MK Vernon 349/1, a past national and reserve international champion bull leads our red herd bull batter, along with MK Jackpot Lotto 588/8, one of the thickest, best producing red bulls in the industry. TO 12/11, a Commander son out of a 3S Ranch and Hudson Cattle Corporation bred cow, is also at the heart of our herd and producing vigorous calves. His dark red color, docility, and bone fits perfectly with our breeding standards. We retained many of his heifers and looking forward to those females becoming productive. Other TO 12/11 calves have been sold to international and domestic breeders. We also are proud of another TO herd sire, TO 10/4, a past international champion bull. The gray herd is led by JDH Echo Liar’s 519/1, an Echo son that has done a tremendous job in producing our kind of calves. Behind him is JDH Mr Manso 114/6, an own son of JDH Elmo Manso. Many females from JDH Echo Liar’s 519/1 and JDH Mr Manso 114/6 have also been retained as replacement females and will be used in our program. In addition, Mr Broken Triangle 013 is adding a lot of beef to our herd. Thank you for your interest in Broken Triangle Cattle Company. Please contact us today!